After being discharged from the hospital, an older person often is admitted directly to a skilled nursing facility (SNF). SNFs specialize in the skilled care we need to recover properly. These facilities also provide the additional rehabilitation we may need before returning home. However, experts have raised concerns about the uneven quality of SNF services, the substantial differences among them, and how they are used in different parts of the country. A transfer from an SNF to a long-term care facility, for example, is considered a failure to achieve the goals of SNF care. Most older people view a move to a long-term care facility as a step in the wrong direction. In a new study, researchers decided to examine the role that SNFs play with regard to older adults’ placements in long-term care facilities. 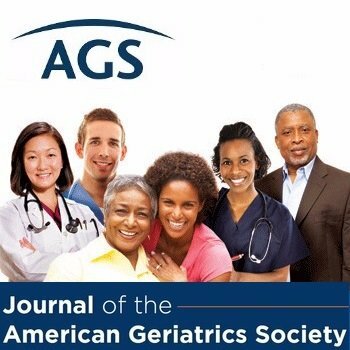 Their study was published in the Journal of the American Geriatric Society. The researchers studied the role of SNF quality and how it affected older adults’ risks of transitioning to long-term care facilities. They also looked at whether any aspects of skilled nursing were linked with an older adult’s risk of entering long-term care facilities. The research team focused specifically on whether the quality ratings of SNFs (available to the public, free of charge, here) helped predict long-term care placements. The researchers used information from a variety of Medicare and other qualified sources that included data on more than 500,000 people aged 65 and older. The researchers learned that a person’s risk of eventual placement in long-term care nursing homes varied a great deal based on the SNF where they received care. Older adults in SNFs with higher quality ratings had significantly lower risks for placement in long-term care facilities. The researchers concluded that learning more about the processes in place at specific SNFs might help explain variations in care and could help guide future efforts. Eventually, these efforts may help older adults successfully return to the community following hospitalization. This summary is from “Clinical Investigation: Variation among skilled nursing facilities in patients’ risk of subsequent long-term care residence.” It appears online ahead of print in the Journal of the American Geriatrics Society. The study authors are James S. Goodwin, MD; Shuang Li, PhD; Addie Middleton, PhD, PT; Kenneth Ottenbacher, PhD, OTR; and Yong-Fang Kuo, PhD. This entry was posted in Health in Aging, Healthcare Decisions, JAGS Research Summaries and tagged skilled nursing facilities, SNF, SNFs by HIA Guest Blog. Bookmark the permalink.